IDMrisk is a machine learning software aimed against fighting online fraud. It leverages device analytics in real time to determine if a person’s mobile, tablet or desktop device is considered legitimate or is attempting fraud. IDMrisk is an anti-fraud solution for an online portal aimed at answering the question, “what is a user’s purpose for interacting with our system?” It is a machine learning software that detects fraud by analyzing the device that has logged on. It is a solution that can address fraud in a way that multi-factor authentication, password protection, and knowledge-based authentication cannot. 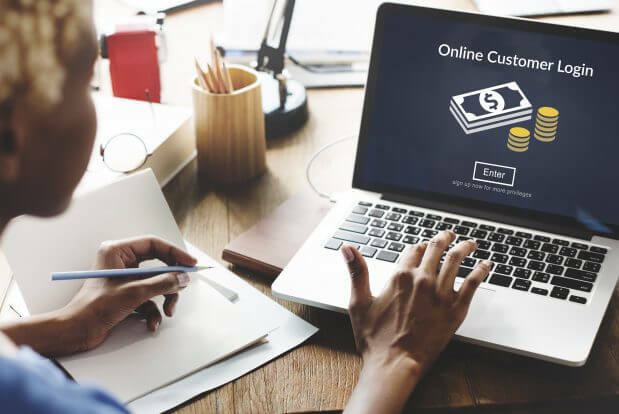 It is able to address account takeovers and prevent crime from happening in real time and without the use of personally identifiable information (PII). 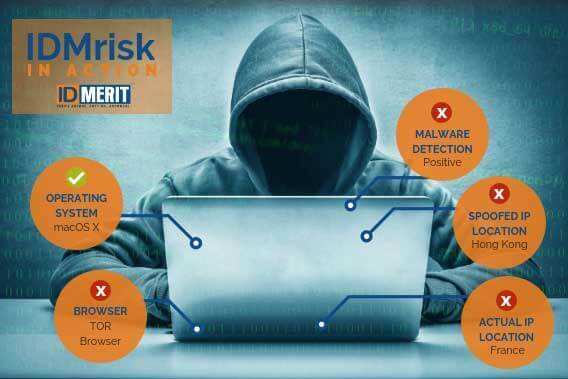 IDMrisk is a comprehensive and innovative fraud prevention tool. Using device-based analytics, IDMrisk assures that fraud can be consistently identified. The software analyzes customer devices and uses particular characteristics to uniquely evaluate the device for patterns that suggest fraud. This allows merchants to identify cybercriminals without the use of personal data. IDMrisk protects businesses through device identification, device fingerprinting, Honeypot technology and location services. It can detect returning customers even if they wipe cookies or are using private browsing. It can also apply traps to detect malware in real time. IDMrisk uses proxy piercing techniques to determine the true location of a device and expose TOR networks or location spoofing. Utilize IDMrisk to protect your business from fraud and losses in revenue. If you need a comprehensive personal identity verification solution, IDMERIT is a secure source. Put us to the test. IDMrisk happens on the backend of a website, without user knowledge. It is a solution that operates in real-time, taking just a few milliseconds to complete. Overall, it reduces friction for the user. It does this by helping with customer retention and minimizing customer abandonment. If you need a robust business verification solution, IDMERIT has got you covered. Put us to the test. 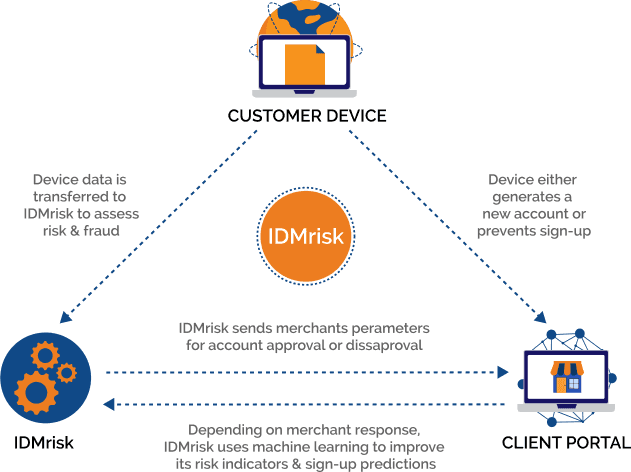 IDMrisk matches device data against a pool of global data. If a device has been associated with a fraudulent transaction, it will be marked as such and stored in a database of devices. Any Internet-enabled device can be instantly assessed by our system and checked to see if it has a history of fraudulent behavior. This allows you to determine who your real customers are and who are not. With this data available, clients can take immediate action against fraud if necessary. Integrating IDMrisk into your platform can quickly and simply identify cybercriminals. IDMrisk determines risk without the use of PII. Our software offers a way for your company to learn about your customers without infringing on their privacy. It is a solution that meets know your customer (KYC) and anti-money laundering (AML) requirements. The solution is also GDPR complaint because it upholds consumer privacy. If you need a next-generation global identity verification product, IDMERIT offers the best solutions. Put us to the test.